You don't need to be Irish to celebrate St. Patrick's Day, or to enjoy spirits, bagpipes and lots of Irish folk dancing. This year, local venues are providing a variety of ways to embrace Irish culture and celebrate with your friends and family. Check out our recommendations for St. Pat's parades, celebrations and events happening all month long. 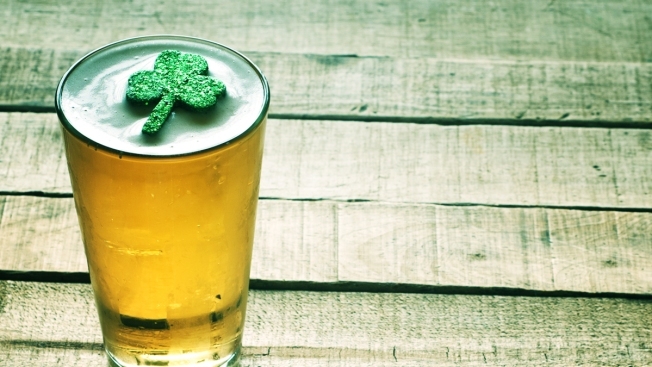 Start your St. Patrick's Day celebration early -- doors open at 11 a.m. -- with live entertainment and drink specials at Rumors south of Dupont Circle. Enjoy $1.17 Coors Lights, $2.17 Blue Moons and more in celebration of the Irish holiday. Don't miss out on the Irish dancers, bagpipers and live Irish music from The Lloyd Dobler Effect and The Mike Leverone Duo. A major pub crawl in Arlington will offer specials, a signature shamrock mug, party favors and beads, and $2 slices of pizza. More than a dozen bars and restaurants are expected to participate in this all-day bash, running from 2 to 9 p.m. Celebrate St. Patrick's Day this year with beer and bands at Shamrockfest. Branded as "America's Largest St. Paddy's Day Celebration," the annual street festival features more than 30 live music performances, an Irish market, carnival rides and a variety of beer and food vendors. Highlighted Celtic/alternative musicians include Reel Big Fish, The Fighting Jamesons and Scythian. Join thousands of dedicated partiers at RFK Stadium Festival Grounds, rain or shine. Irish Week in Annapolis means 11 days of cultural fun and festivities. Stop by Ram's Head Tavern for a Celtic rock concert or find the perfect cup of joe in a city-wide Irish coffee contest. The extended celebration includes concerts, contests and dining specials hosted at popular Irish establishments such as Galway Bay and Fado Irish Pub. The festivities end on a high note with St. Patrick's Day celebrations across Annapolis on Tuesday, March 17. Participate in an interactive cultural celebration with your young ones at The Natural History Museum. Learn about Irish music traditions while getting your groove on as dancer Shannon Dunne joins Pete Moss and the Bog Band to bring you an authentic Irish Céilí celebration. Recommended for children ages 5-12. Eager to experience authentic Celtic tunes and melodies? Surround yourself with that Celtic vibe at Zakir Hussain's Pulse of the World. Tabla virtuoso Zakir Hussain will debut his latest project, Celtic Connections, at the George Washington University's Linser Auditorium. Celtic Connections combines traditional Celtic instruments with tabla, bamboo flute and Carnatic violin to produce a unique sound.